Nice ... can you make a little vid of that. That island is allready awesome but with the clouds from Take On it should even look more marvelous. Sorry but i have no Youtube Account, but iÂ´ll upload some pics. One problem with most custom maps is, that there a much less clouds than in BI-Maps, no idea why. Clafghan seems ok with this. Does anyone know a way to disable the old clouds? ItÂ´s a bit strange to have the old clouds above the new ones. I'm suprised no one (even moderators) are taking actions since many islands (including mine) clearly state that use outside of A2 game is prohibited? However I totally understand if a modder doesnt want this. It's his right. I was about to make videos featuring some of your islands ;), however, I will honor your request if you do not wish your island projects to be used in Take on Helicopters. The question you must ask yourself is, How far outside of A2 use is Take on Helicopters? I guess I can allow the use of my island in ToH BIS game too, but not their military simulators. thanks for reminding me not to take for granted the efforts and requests of addon authors. Thanks for the pics.. It it looks even better in TOH. You forgot to add the plants2*.pbo to your list of pbos required to get Chernarus and Utes going in ToH. I added all 5 such files and the veg looks great. How did you get Uhao into ToH? I ran out of energy yesterday trying to figure out which pbo's were needed from Arma - ended up chasing my tail and after a week of trying to get Skyrim to run nicely I was tired! Caa1 was needed to get Arma islands into Arma2, did you do something to tweak this or did you just grab the pbos from Arma? How did you get Uhao into ToH? ... Caa1 was needed to get Arma islands into Arma2, did you do something to tweak this or did you just grab the pbos from Arma? I am willing to release the modified pbo (a single change, "required version" removed) to the public if it follows proper community etiquette, otherwise it's best kept for personal use only. I hope you understand. Perhaps I can add *modified by DirTyDeeDs-Ziggy- to work in ToH* to OFmans' original readme, would that make it acceptable? depbo'd, changed the requiredversion to 1.01, pbo'd, and put it in a ToH mod folder, but that doesn't work. Only uhao.pbo came with it, not the pbos you listed. ???? the best damned mod I've ever seen. Just F____G AWESOME. Can we get Everon, etc. into ToH without much hassle? WOlle, Max Power, and Celery would know! Awesome. Which pbos are needed? Did you figure out how to point the command line to another directory on your system, like -mod="c:\Program Files\Arma2\@CWR2...." or something, or did you just copy everything into a ToH mod folder? That's what I did for Chernarus. :confused: I gave up trying so I just copied the addon folder(s) instead. -Ziggy-;2062886']if you have the CAA1' date=' cant you just pull out the .pbos I described earlier and place them with your modified OFM_Uhao.pbo? You might have to do some tweaking to CAA1 as some of the configs were renamed as caa1_ rather than ca_. I tried with it 'cos my Arma DVD is in the loft but I gave up after a couple of hours. It was late though! I have CAA1 to play Sarahni etc in A2, but I think I'll grab the Arma files off my Arma DVD. I just need someone to go in my loft for me. Lots of duplication on my HD now! I'll try that, but CAA1 doesn't contain Uhao as far as I can tell. But CAA1 has multiple Saranhi worlds, all of which are fantastic! CAA1 works perfectly with A2 CO as is, but some pbos need reversioning to work in ToH. CWR2 just pops into ToH and works very well. I am getting strange behavior now with Chernarus and Utes in the .../Toh/@A2/addons folder. When I start ToH with no mods listed in the command line, the A2 mod loads anyway. When I start ToH with -mod=@testfm (testfm = modded FM by nightstalker), the A2 mod does not load (good). What gives? I cannot get the A2 mod not to load unless I remove the @a2 mod folder. I have a relatively simple quick method/way of getting A2 content to work in TKoH while the A2 data stays in the \A2\addons directory thus tricking TKoH into seeing the files as if they were in the \TKoH\namehere directory and the whole process only contributes to ~160kb of extra â€œusedâ€ HDD space vs. the <8.18gb if you copied the A2 files over to within the TKoH directorys like most/all of you are doing. 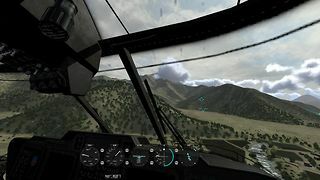 NOTE: if you have copied actual A2 files to an addon directory in take on helicopters, then if you follow below your best off deleting the .pbo, .bi.bisign, .bi2.bisign files from within that folder, then using that folder for below as you will have the mod.cpp etc and â€“mod= switch already in place. In reality the it take about 1min to do whatâ€™s below, when you know what youâ€™re doing, which is ~5min quicker than it would take to copy & paste actual files of ~8.18gb. 2: in the â€œarma2â€ folder you have just created, you will ultimately be making another folder called â€œAddonsâ€ by the time you get to step 11 below, thus ultimately creating the path e.g. 3: make a temporary backup of your Arma 2 gameâ€™s AddOns directory e.g. â€œC:\...\...\...\arma 2\AddOns\â€ folder â€“ just in case, which can then be deleted later! 4: on the desktop right click and create a new text document, you can call it whatever you want. to bring up the command prompt help on mklink usage. 6: then copy & paste the link for the where the new â€œAddonsâ€ folder will be noted in step #2 above into the .txt document you created in step 4 and that should still be open from step 5, to create e.g. Now save the text document. 8: at this moment in time you are now best to head to the file/folder options in windows to change the settings to show â€œhidden filesâ€ and to show all file extensions (.txt, .exe, .pbo, .dll, .bat and so on) . 10: next right click on the text document you saved in step 7 and change the file extension from .txt to .bat and confirm change, the .bat extension with â€œright click > editâ€ will open as a text document BUT if you dibble click on it or â€œright click > openâ€ it will run in the command prompt (to should complete without error) â€“ if you donâ€™t want to create a .bat file or you cannot change file/folder options in windows see the latter part of step 11. 11: double click on the .bat file from step 10 above to execute it in command prompt - alternatively if you donâ€™t want to create a .bat file or you cannot change file/folder options in windows, you can copy and paste the full mklink /Jâ€¦â€¦â€¦. that is in the text file into command prompt via â€œstart menu > runâ€ then type cmd then hit OK, or look in â€œstart menu > programs > accessories > command promptâ€ and open this to paste the full mklink /Jâ€¦â€¦â€¦. that is in the text file, then hit enter to run the pasted line, also if you get any errors running the .bat method fall back to the copy and paste method into an already open command prompt window, that way the window will stay open to display the error message rather than shutting like with .bat files once run. 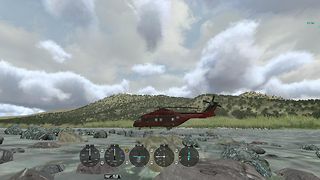 12: you should now go to your â€œtake on helicopters\arma2\Addonsâ€ folder and see what looks like. 13: next you need a mod.cpp to place in the \take on helicopters\arma2\ folder, which most of you will have if you have copied actual â€œphysicalâ€ files into an A2 folder of some description to get the islands to work that way. 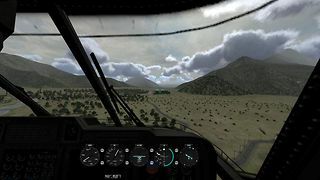 15: start up take on helicopters and you should see â€œArma 2â€ in the expansions and the Arma 2 islands available the take on helicopters editor and all the missions, so you can now exit. 16: next, if you only want the islands then you can delete the relevant vehicle, mission etc and weed out other unneeded files (.pbo, .bi.bisign, .bi2.bisign) from the â€œtake on helicopters\arma2\Addonsâ€ folder (as they are like short cut files but without the â€œshortcutâ€ little arrow on the icon), if you have previously copied and pasted A2 files into a TKoH mod folder you will know why files you do or donâ€™t need and if you delete to many of the shortcuts simply rerun step 11 above to put them back. only if useing mklink /D on a per file basis i.e. 18: if it all works then you can delete the backup from step 3 above. edit of #2, #6 & #12, they were as per "mklink /D" which are files rather than "mklink /J" which is folders!!!! And again, as I mentioned above, the arma2 mod will load even if there is no -mod=arma2 in the command line. Not good. How can I get the A2 mod NOT to load without removing the A2 folder? I would recommend making the ToH/@A2/addons folder, and then running this batch file, which creates file symbolic links to the correct files, and only the correct files. The files are the ones Sickboy listed plus the plants2* files needed for the .... plants! These symlinks can be deleted as necessary and the targets in the Arma 2 directory will be preserved. Edit as necessary for your directory structure. 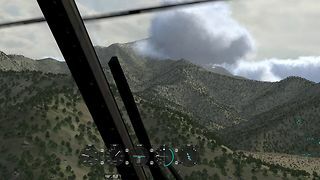 mklink "C:\Program Files\Bohemia Interactive\Take On Helicopters\@A2\addons\buildings.pbo" "C:\Program Files\Bohemia Interactive\ArmA 2\AddOns\buildings.pbo"
mklink "C:\Program Files\Bohemia Interactive\Take On Helicopters\@A2\addons\buildings2.pbo" "C:\Program Files\Bohemia Interactive\ArmA 2\AddOns\buildings2.pbo"
mklink "C:\Program Files\Bohemia Interactive\Take On Helicopters\@A2\addons\buildings2_Ind_CementWorks.pbo" "C:\Program Files\Bohemia Interactive\ArmA 2\AddOns\buildings2_Ind_CementWorks.pbo"
mklink "C:\Program Files\Bohemia Interactive\Take On Helicopters\@A2\addons\Ca.pbo" "C:\Program Files\Bohemia Interactive\ArmA 2\AddOns\Ca.pbo"
mklink "C:\Program Files\Bohemia Interactive\Take On Helicopters\@A2\addons\chernarus.pbo" "C:\Program Files\Bohemia Interactive\ArmA 2\AddOns\chernarus.pbo"
mklink "C:\Program Files\Bohemia Interactive\Take On Helicopters\@A2\addons\chernarus_Data.pbo" "C:\Program Files\Bohemia Interactive\ArmA 2\AddOns\chernarus_Data.pbo"
mklink "C:\Program Files\Bohemia Interactive\Take On Helicopters\@A2\addons\chernarus_Data_Layers.pbo" "C:\Program Files\Bohemia Interactive\ArmA 2\AddOns\chernarus_Data_Layers.pbo"
mklink "C:\Program Files\Bohemia Interactive\Take On Helicopters\@A2\addons\misc.pbo" "C:\Program Files\Bohemia Interactive\ArmA 2\AddOns\misc.pbo"
mklink "C:\Program Files\Bohemia Interactive\Take On Helicopters\@A2\addons\Roads2.pbo" "C:\Program Files\Bohemia Interactive\ArmA 2\AddOns\Roads2.pbo"
mklink "C:\Program Files\Bohemia Interactive\Take On Helicopters\@A2\addons\rocks2.pbo" "C:\Program Files\Bohemia Interactive\ArmA 2\AddOns\rocks2.pbo"
mklink "C:\Program Files\Bohemia Interactive\Take On Helicopters\@A2\addons\signs2.pbo" "C:\Program Files\Bohemia Interactive\ArmA 2\AddOns\signs2.pbo"
mklink "C:\Program Files\Bohemia Interactive\Take On Helicopters\@A2\addons\structures.pbo" "C:\Program Files\Bohemia Interactive\ArmA 2\AddOns\structures.pbo"
mklink "C:\Program Files\Bohemia Interactive\Take On Helicopters\@A2\addons\ui.pbo" "C:\Program Files\Bohemia Interactive\ArmA 2\AddOns\ui.pbo"
mklink "C:\Program Files\Bohemia Interactive\Take On Helicopters\@A2\addons\UIFonts.pbo" "C:\Program Files\Bohemia Interactive\ArmA 2\AddOns\UIFonts.pbo"
mklink "C:\Program Files\Bohemia Interactive\Take On Helicopters\@A2\addons\utes.pbo" "C:\Program Files\Bohemia Interactive\ArmA 2\AddOns\utes.pbo"
mklink "C:\Program Files\Bohemia Interactive\Take On Helicopters\@A2\addons\plants2_Bush.pbo" "C:\Program Files\Bohemia Interactive\ArmA 2\AddOns\plants2_Bush.pbo"
mklink "C:\Program Files\Bohemia Interactive\Take On Helicopters\@A2\addons\plants2_Clutter.pbo" "C:\Program Files\Bohemia Interactive\ArmA 2\AddOns\plants2_Clutter.pbo"
mklink "C:\Program Files\Bohemia Interactive\Take On Helicopters\@A2\addons\plants2_misc.pbo" "C:\Program Files\Bohemia Interactive\ArmA 2\AddOns\plants2_misc.pbo"
mklink "C:\Program Files\Bohemia Interactive\Take On Helicopters\@A2\addons\plants2_Plant.pbo" "C:\Program Files\Bohemia Interactive\ArmA 2\AddOns\plants2_Plant.pbo"
mklink "C:\Program Files\Bohemia Interactive\Take On Helicopters\@A2\addons\plants2_Tree.pbo" "C:\Program Files\Bohemia Interactive\ArmA 2\AddOns\plants2_Tree.pbo"